We are pleased to announce, with the assistance of creative digital agency Unite Interactive, the launch of our new website and social platforms. 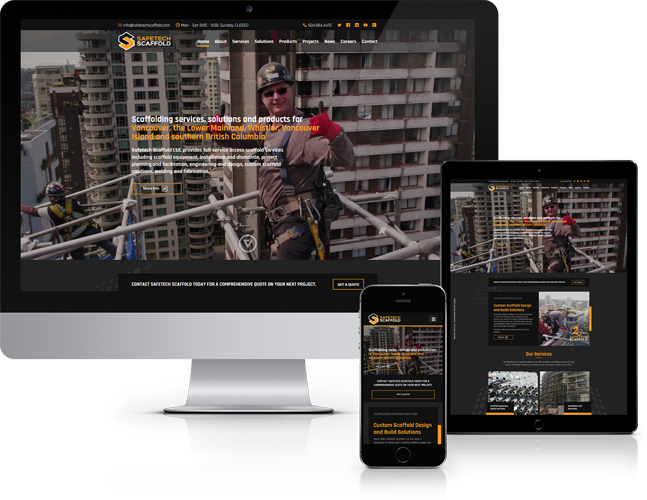 "We are excited for our new website launch and believe it will be a great opportunity for us to continuously connect with our customers, staff and the general public about the ongoing developments at Safetech and our scaffolding industry as a whole." suggests Safetech Scaffold principle Calvin Dunn. "As we are a progressive company, we wanted to make sure our brand and web presence provided an opportunity for our customers to follow our company growth and ever expanding products and services." The clean design, mobile friendly interface, improved functionality and enhanced rich content will allow our visitors a quick and convenient access to information that speaks to Safetech Scaffold's best in class products and services.